We must all find our own path in life! This entry was posted in Inspiration, Motivation, Photography, Pictures, Quotes and tagged Inspiration, Photography, Quotes, thoughts, wisdom. Bookmark the permalink. 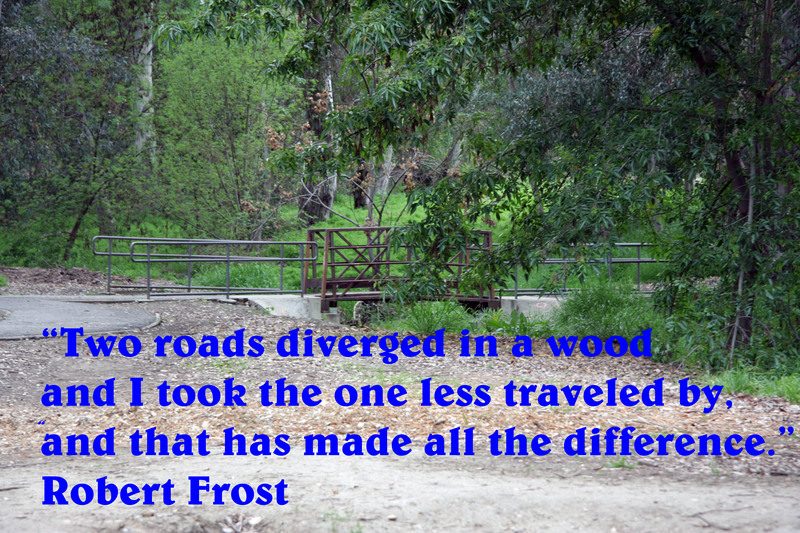 I have always resonated with this quote by Robert Frost. I definitely haven’t taken the road most traveled in my life, but I’m happy to report it’s been for my highest and best. On occasion, I adjust my path, but keep moving. Life is a blast! I agree as long as you continue to learn from your mistakes and keep moving your life will reward you in the end!